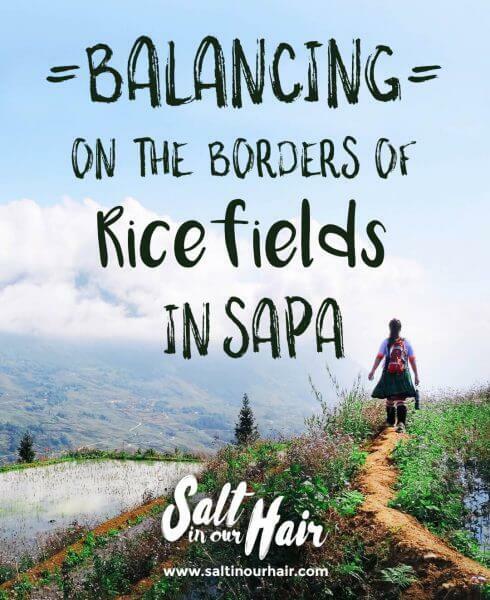 Balancing on the borders of a rice field with endless beautiful views… sounds great, right? 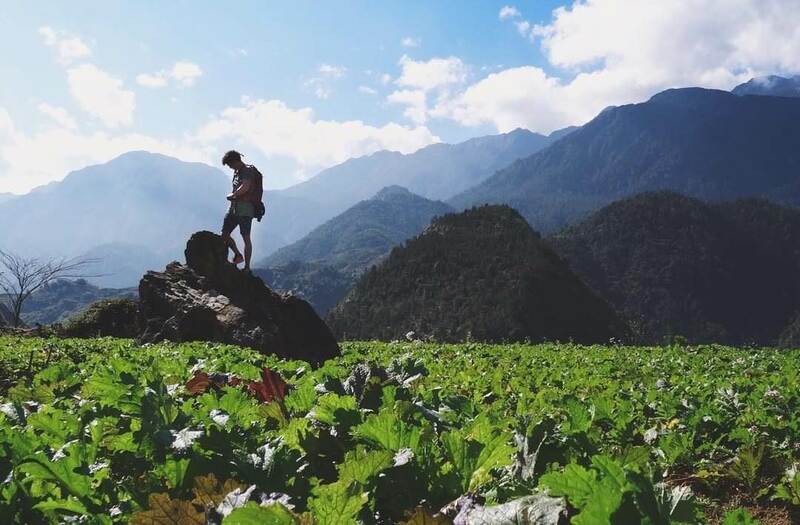 A trek through the valley of Sapa is definitely an item to add to your bucket list. Sapa is located in the North of Vietnam, close to the border of China. 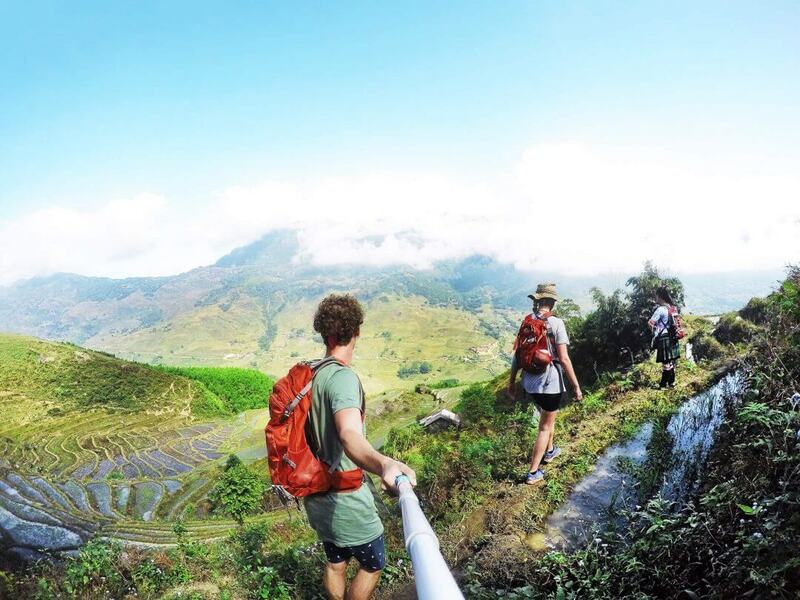 This area contains impressive rice terraces, colorful people and the highest mountain in Vietnam, the Fansipan. From Hanoi, the hysterical and cozy metropole of Vietnam, there are several options to get to Sapa. 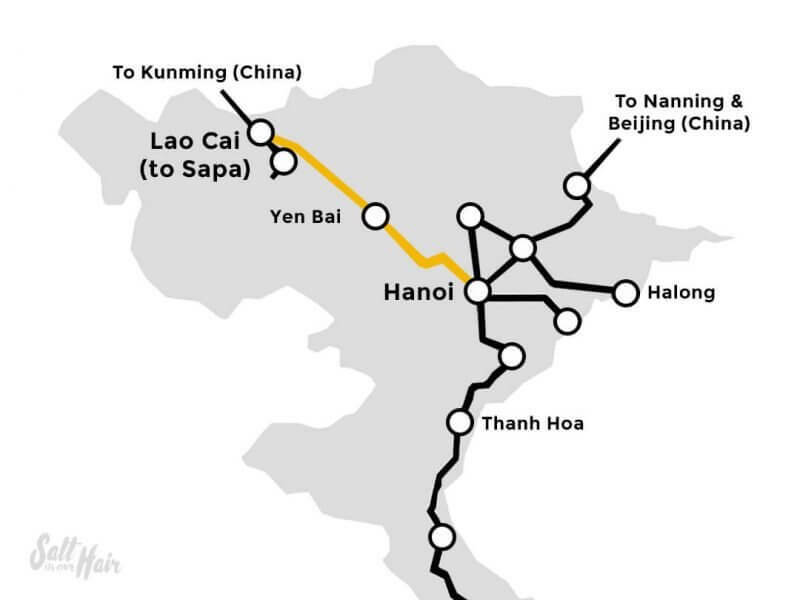 The sleeper train will bring you to Lao Cai, 40 kilometers from the Chinese border. The journey takes about 8 hours and the price of a ticket starts at $20~onwards. The cost depends if you choose a hard or soft sleeper. From Lao Cai, it’s a one hour drive with the minivan along a route full of twists and turns but still so beautiful. You can buy a combi ticket for the train + minivan on the main train station in Hanoi. Click here for more train info. The sleeper bus to Sapa has become more popular in the last years. This is because of the new highway which was opened in 2014. It makes the journey a lot more comfortable because it will take you from Hanoi to the center of Sapa town within 6 hours. The costs will be about $10-$20~, and that’s cheaper than the train. It wouldn’t be a problem finding a bus ticket — they sell them literally everywhere in Hanoi. Some of these women don’t have a license to do trekking, but that doesn’t necessarily mean that the trekking isn’t good. Most of the time you can arrange a reliable trekking itinerary from the place you will stay. If you like it more the easy way, you can book an all-in-one tour to Sapa on several places in Hanoi. Don’t forget to bring these travel essentials ? 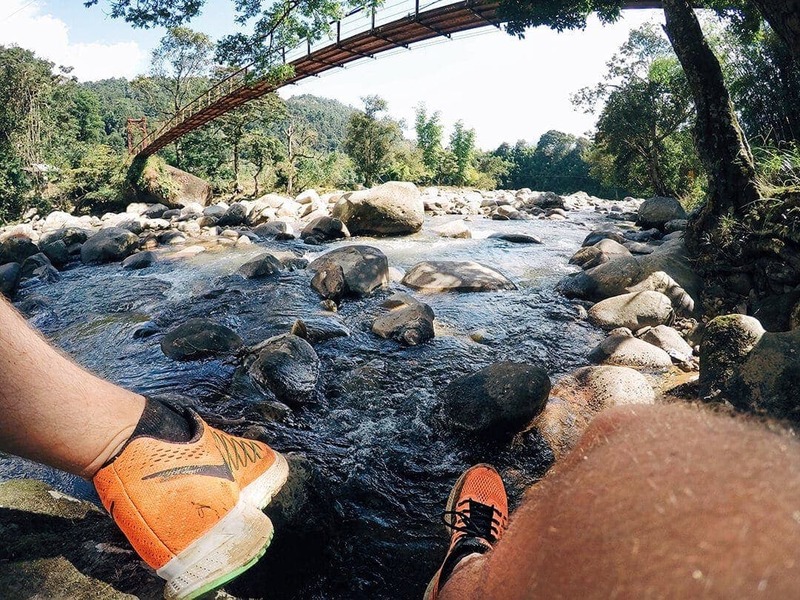 Where you’re staying overnight totally depends on you and your choice of trekking. If you are going for a day trek, then it will be fine to stay in a hotel in Sapa town. 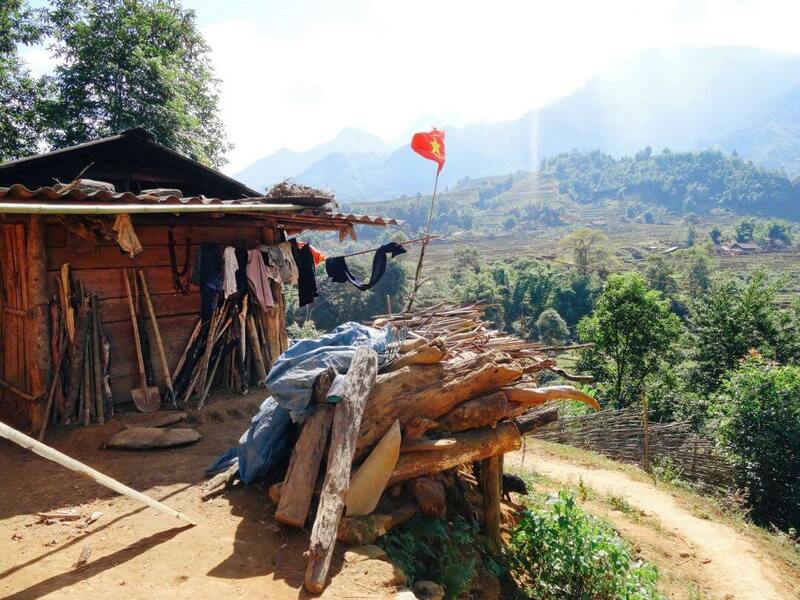 If you decide to do a multi-day trek, it will be cool to spend the night in a homestay in the valley around Sapa. 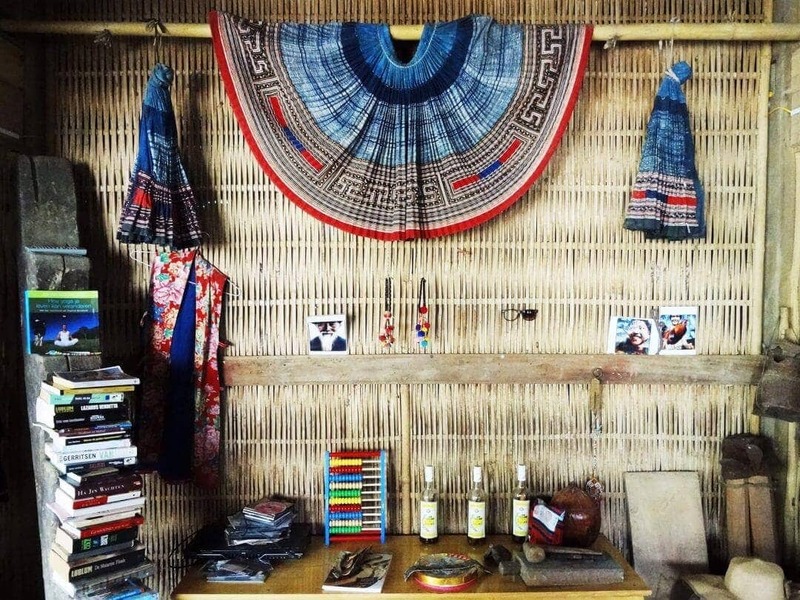 You can go really basic with the locals or a homestay with some more facilities like Luckydaisy Buffalo House. Eddie is running this homestay together with his Vietnamese wife in the small village, Ta Van. Tip: Be sure of a great guide and route without too many tourists! At Luckydaisy Buffalo House, they can arrange a multi-day trek with one of their guides. Ask for guide Zu ? The best time to travel Sapa is now. Yes, now! 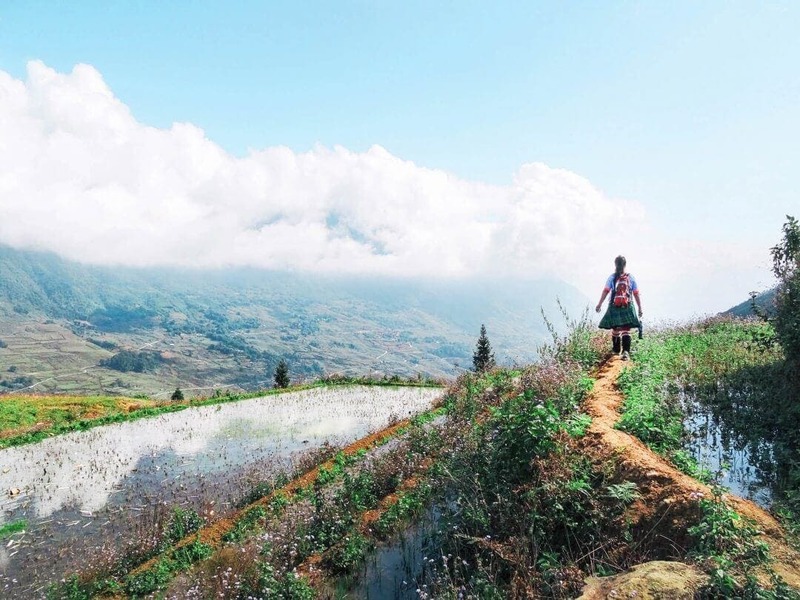 Because of the tourism programs in Vietnam, Sapa is changing a lot. A dam for power supply is under construction and a cable car to the top of the Fansipan mountain is opened last February, and because of that, the villages are suddenly a lot less outback. Go to Sapa from March to May and September to November for the best temperatures. To be sure of beautiful green rice fields, visit between May and September. Accept the fact that it will rain more in that period. From December to February, it could be snowing, but don’t hesitate to go because of that; All the pictures above were taken in November and it was beautiful. Would you like to see more of Sapa? Check out our Instagram or Youtube.